Captain Mike Holliday of Stuart, Florida has been a fishing guide for 24 years, working the waters from Jupiter to Vero Beach. An expert on fishing inshore, offshore and along the beaches, Holliday specializes in chasing tarpon, snook, spotted seatrout, cobia, permit, jumbo jack crevalles and most offshore game fish. 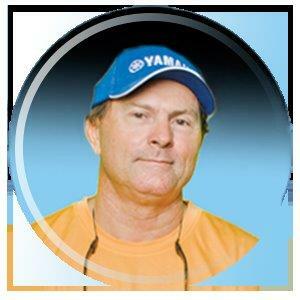 He regularly fishes out of a Maverick Master Angler 21 with Yamaha 250 VMAX SHO four stroke outboard. The author of two books on fishing (Sportsman’s Best; Inshore Fishing and Secrets For Catching Seatrout), Holliday fishes the occasional inshore tournament with his kids. Sponsors include: Maverick Boat Company, Yamaha Marine, Minn Kota, Humminbird, Quantum, Bass Assassin, Stren, Costa Del Mar Sunglasses, Navionics, Lindsay Marine, Engle Coolers, Hookup Lures and Hides Sunglass Holders.